The choir is a very enthusiastic group under the direction of Choirmaster Doreen Robinson, who sing in SATB (a combination of soprano, alto, tenor, bass voices). The repertoire varies from traditional to modern. 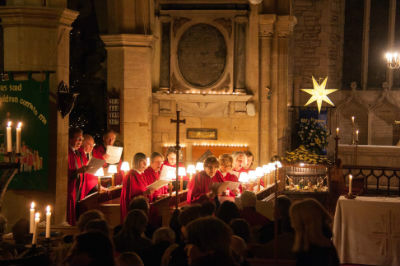 As well as leading the worship on Sundays, the choir sing at weddings and funerals, and also join in parish activities where music is required. New voices are always welcome - especially tenors!